Find all the information regarding Milan Malpensa Airport: Flights (Departures, Arrivals and Airlines), Parking, Hotels and Accommodation, Car hire, Transport and other information about the milano malpensa airport. 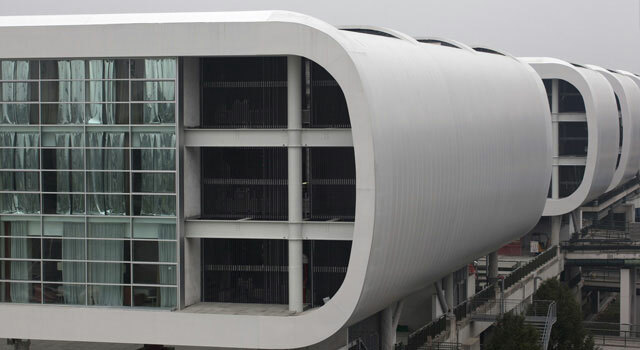 Plan your travel from or to Milan Airport with the information provided in this site. Check Milan Travel Guide at Bautrip for more information about Milan. Milan Malpensa Airport (IATA: MXP ICAO: LIMC) is the largest airport of Milan, and one of the three in the Milan influence area. Malpensa Airport serves 15 million inhabitants in the regions of Lombardy, Liguria and Piedmont. The airport is located in the province of Varese, 50km at the NW of Milan. 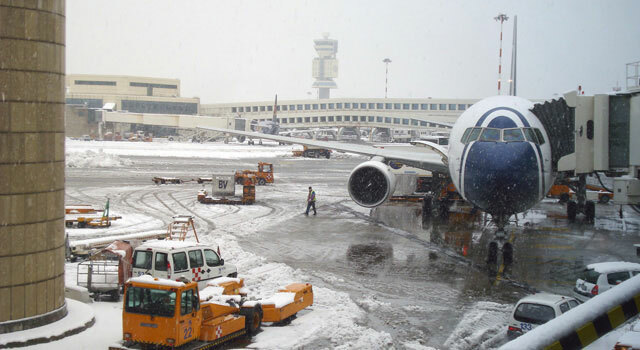 The airport is connected to Milan by the Milano-Varese highway as well as by the "Malpensa Express" train starting from the Milano Centrale railway station and Milan Cadorna railway station. It takes about 50 and 40 minutes respectively to reach Milano city center (click here for Malpensa Express train details). 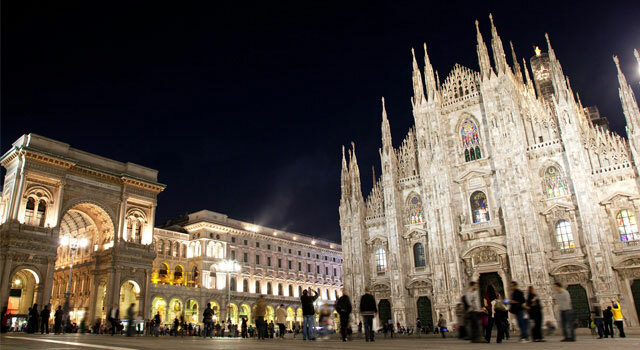 Milan or Milano is the second largest city in Italy and the capital of Lombardy. Is the main industrial, commercial and financial centre of Italy and is well known to host several international events and fairs. What to do in Milan? Feast your eyes on the Last Supper painting, visit the Piazza Duomo, or walk on the roof of Duomo. Explore the Castello Sforzesco, go shopping at Galleria Vittorio Emanuele II. Book your hotel at the city right now. - Train: Malpensa Express Train connects both terminals (departs from T1) with Milan City centre. 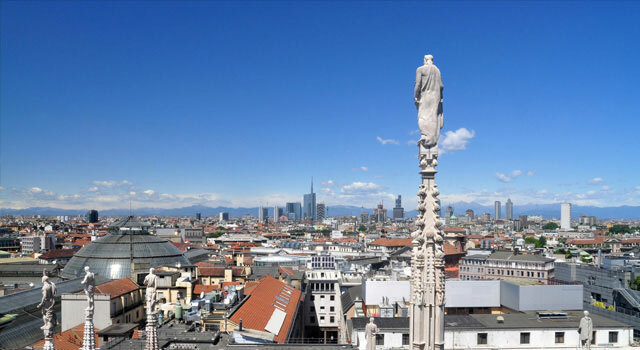 - Bus: Several buses run to downtown Milano and to other italian cities and villages. - Taxi: Get within 45 minutes to the city centre. The taxi rank is located outside each terminal. To get more info about transportation in Malpensa Milan airport, please visit the transport section. To transfer from Malpensa T1 to T2, the Airport provides a free shuttle service which let you get in any of the terminals within 15 min. every 7 min. during daytime and every 30 min. at night (22:45 pm to 05:15 am). This service runs 24/7. Terminal 1 links with the parking lots: P1, P2, P3 and P4. Malpensa Airport Terminal 2 is exclusively used by EasyJet. The building has two floors. Parking at T2: P5. To connect both terminals Malpensa Airport provides a free shuttle service. 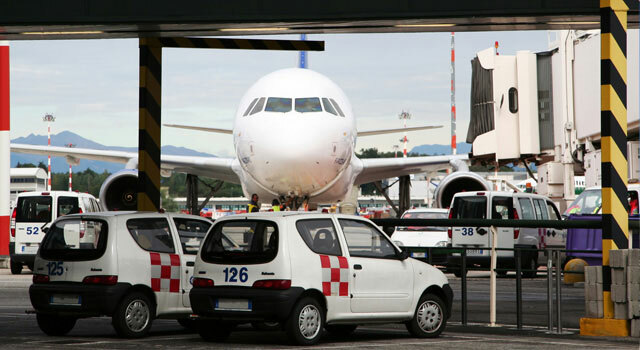 Malpensa airport provides various services to all passengers that request it. Both terminals offer: Shops, restaurants and snack bars, stores with different products, ATMs, ground transportation (bus, shuttles, taxis. Trains depart from T1), assistance for passengers with special needs, Tourist information, currency exchange and VAT refund, car rental, nursery assistance, children play areas, parking lots, escalators and elevators, TOTEM, restrooms, conference rooms, VIP Lounges, etc. If you plan to hire a car please, check here the best prices. Malpensa was the 26th busiest airport in Europe in 2017 in terms of passengers, handling more than 22M passengers. Is the second busiest aiport in Italy after Rome Leonardo da Vinci-Fiumicino Airport in terms of total passengers, freight and cargo. The next biggest airport in Italy is Venice Airport. Milan Malpensa Airport Call Centre.